A few years ago two new events, the RUSK festival in Pietarsaari, founded by composer Sebastian Fagerlund and clarinettist Christoffer Sundqvist, and Pasimusic, composer Pasi Lyytikäinen’s own festival in northern Savo, appeared on the autumn festival map of Finland, brightening up the darkening months with their innovative offerings. Autumn in Finland is traditionally not a hugely popular time for music festivals. One need only look out the window to see why: as the lucid summer fades into dark, cold and wet misery, there is little incentive to travel for pleasure. Cultural enthusiasts focus on the performing seasons of their local orchestras and other cultural institutions, while those who do travel tend to set their sights for metropolises abroad. However, a few years ago two new events did appear on the autumn festival map, brightening up the darkening months with their innovative offerings. 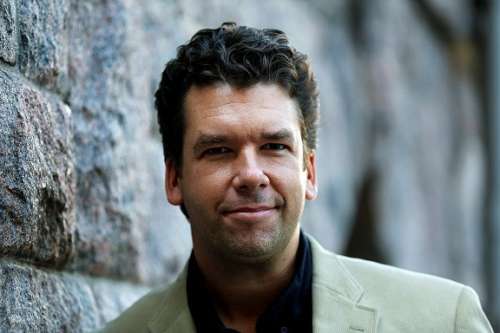 The RUSK festival, which takes place in Pietarsaari in November, was founded by composer Sebastian Fagerlund and clarinettist Christoffer Sundqvist in 2013. Pasimusic, composer Pasi Lyytikäinen’s own festival, has been held in northern Savo at the turn of September and October since 2014; the latest edition included performances in Kuopio, Lapinlahti and Iisalmi. Roughly on the same latitude but on opposite sides of Finland, these two festivals are very different yet share certain features. Above all, both are very much portraits of their founders and attract visitors from far and near. Photo: Sirpa Räihä / HS. The theme of the RUSK festival in November 2016 was ‘Crystal Clear’, which could be a description of the festival as a whole: a bright spot of art nestling in the darkness of late autumn. The geographical focus of the festival is Campus Allegro, the newish cultural centre in Pietarsaari that houses a 400-seat concert hall and facilities for the local university of applied sciences and music institute. This building is actually an excellent metaphor for much that characterises the festival: its architecture is a comfortable blend of history and the present day, and its content spans various branches of the arts, education and living culture. The festival’s flexible educational programme last year included the orchestra academy of the Pietarsaari Sinfonietta and the impressive visualisation for Messiaen’s Quatuor pour la fin du temps, executed as an inter-discipline student project. Bram van Sambeek at the RUSK festival. The festival added a further layer to this by bringing in a unique lineup of internationally distinguished performers, no doubt thanks to the extensive networks of the two artistic directors. With varied ensembles and diverse programming, the concerts were vivid experiences that highlighted a number of exceptionally skilled musicians, such as Tomas Djupsjöbacka as both conductor and cellist, and virtuoso bassoon player Bram van Sambeek. The newest works on the programme were by artistic co-director Sebastian Fagerlund and by this year’s composer in focus, Jukka Tiensuu. 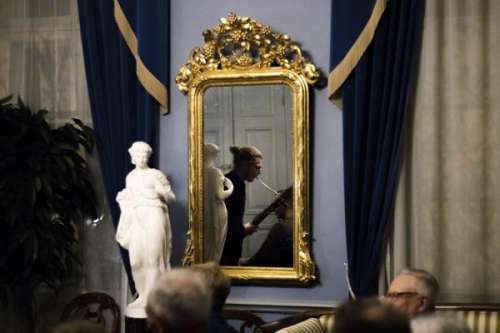 The signature of the artistic co-directors was apparent throughout the programme – the musicianship of Christoffer Sundqvist and the composer persona of Sebastian Fagerlund. The festival management was also concretely present like the excellent hosts they were, greeting listeners, introducing works or performing. Audiences included listeners of all ages and seemed to enjoy what they heard. Composer Pasi Lyytikäinen took his role as host equally seriously at his own Pasimusic festival. The festival is very much his baby down to its name: it featured his music, he introduced all concerts himself, he talked with audience members and he also jammed with the performers at afterparties. The mood was hospitable and informal, especially in the concerts held in Lyytikäinen’s home town of Lapinlahti. The heart of the festival was the Vicarage of Väärni, birthplace of author Juhani Aho (1861–1921), where history and local culture mingled with international guests and the present day. That the mood was informal does not mean that the programme was easily digestible, as the repertoire was weighted towards contemporary music. In addition to Lyytikäinen’s own works there were several world premieres, of which we might mention Sous le soleil froid for two pianos by Lauri Kilpiö. 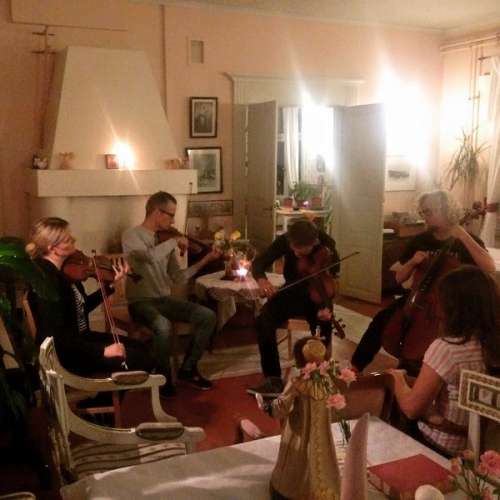 NeoQuartet performing at the Väärni vicarage. Photo: Pasimusic 2016. The recital given by NeoQuartet from Poland consisted entirely of contemporary works, including a new String Quartet by Adam Vilagi. The Kuopio Symphony Orchestra gave the world premiere of Matei Gheorghiu’s Triple Concerto. Yet there was also a wide selection of works from centuries past, such as French piano music and solo songs by composers from northern Savo. At this latest Pasimusic festival, admission to all concerts was free except for the Kuopio Symphony Orchestra concert. This must have lowered the threshold to come to concerts featuring names that listeners had never heard of – after all, international distinction in contemporary music does not translate into popular fame – and it was gratifying to see many local people at a concert of contemporary music in Lapinlahti Church. As global as our world may be, live music remains special in that it is a shared moment of actuality experienced by a group of people here and now. Both Pasimusic and RUSK have found a way to bring together layers of place and time in uncontrived ways and with a personal touch. They remind us that the roots of music are not only in history but also in local communities and local audiences. At the same time, they highlight that internationalism is created not only in grand metropolises but also through networks and encounters that foster new culture.